With the Vancouver Home + Design Show happening this weekend, we are looking forward to checking out a few of their special design celebrity guests who'll be making appearances. 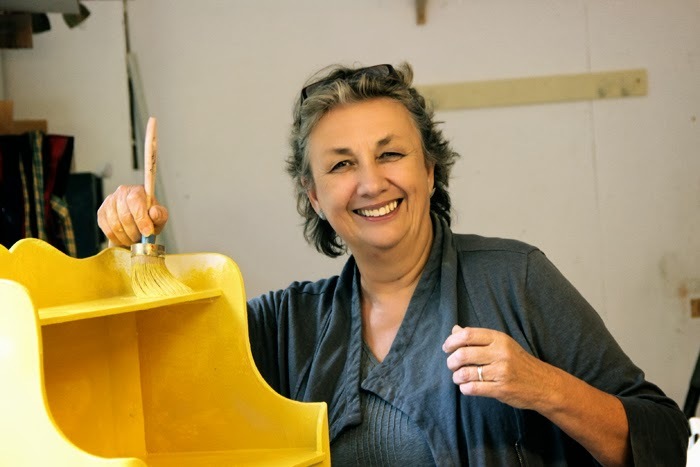 One of them being Annie Sloan, one of the world’s most respected experts in the field of decorative painting. We sent Annie a mini interview questionnaire via email this week, and here's what she had to say about her visit here and what is inspiring her right now. But first her bio. A pioneer of the painted furniture craze, Annie Sloan has brought colour to countless lives with her laid-back, lively approach to painting. A trained painter and pigment expert, Annie transformed the way we treat furniture with her own line of decorative Chalk Paint™. Annie shares her passion for painting and decorating in broad brushstrokes, and through her best-selling books. 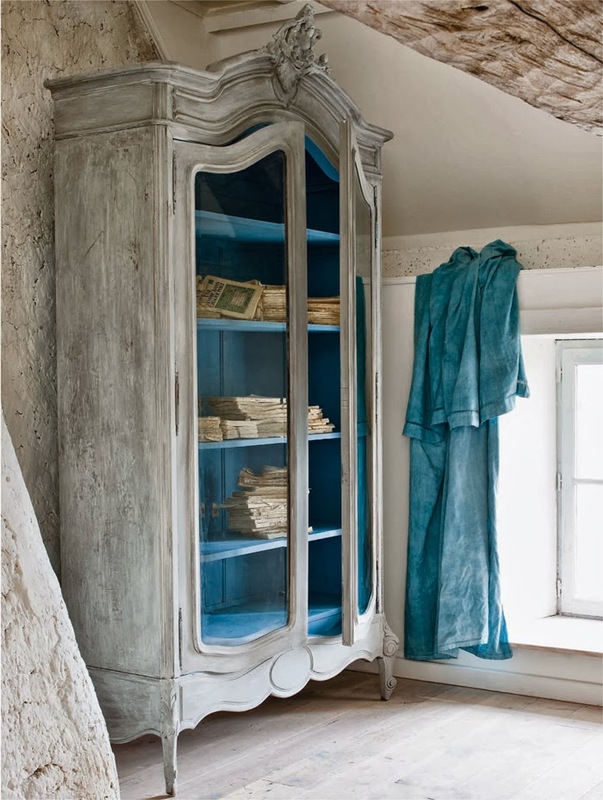 Dyed fabric: Curtains are made of old French linen sheets dyed with Aubusson Chalk Paint™ (diluted with water). 1 ) Tell us a little bit about you. Where did you train or study and what led you to the path you currently are on? I trained in England at art school and then university studying for 7 years altogether! I ended with a Masters Degree. After this I came out into the world eyes blinking in the bright sunshine, and wondered where I was. Being in an academic environment was lovely but in a very cloistered world. So I began to think of my first love which was painting! I began to look at the way untrained people relate to colour and their surroundings. I looked at old work both in grand houses and in the farms. I was very inspired by the way people, not artists have used paint over the centuries. 2) We loved your book, Colour Recipes for Painted Furniture and More - and especially your range of Chalk Paint™ - can you tell us what you're excited about currently in your design world? 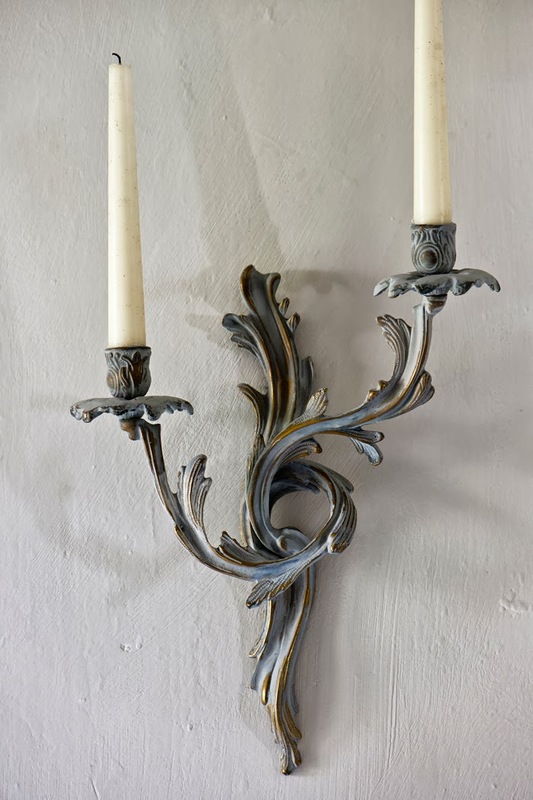 I think it is the re-emergence of Folk Art - this time from Eastern Europe and maybe kitsch China in particular, the inspiration of modern art in mid twentieth century modern painted 1950s furniture and the way the urban warehouse is combining with the chateau look. 3) What designers/makers/architects, etc do you look up to, are influenced by or inspire you? I love looking at fashion from the past and now in particular right at this minute! 4) Where else do you pull inspiration from? Art, art and more art, from Warhol to Watteau. Really every period of art. Old clothes and adverts are also a big influence along with the lifestyle of France. We have a house there and I still find it inspiring after all these years! 5) Any sneak peeks or plans you can share of new or future things on the go? Now that would be telling wouldn't it! There are so many things happening. So many plans and ideas that are all in the pot, some almost cooked and some just put in. Can I keep you posted? 6) We look forward to your appearance at the Vancouver Home + Design Show, can you give us a preview a bit of what you'll be sharing? I want to show how very versatile Chalk Paint™ is so I’ll show some fabrics that are dyed, painted metal, painted upholstery, as well as how the paint goes directly onto wood without needing priming or sanding. I hope to do a rustic look and a more smooth modern look or maybe a wash too, if there is time! Thank you Annie, we love what you do! 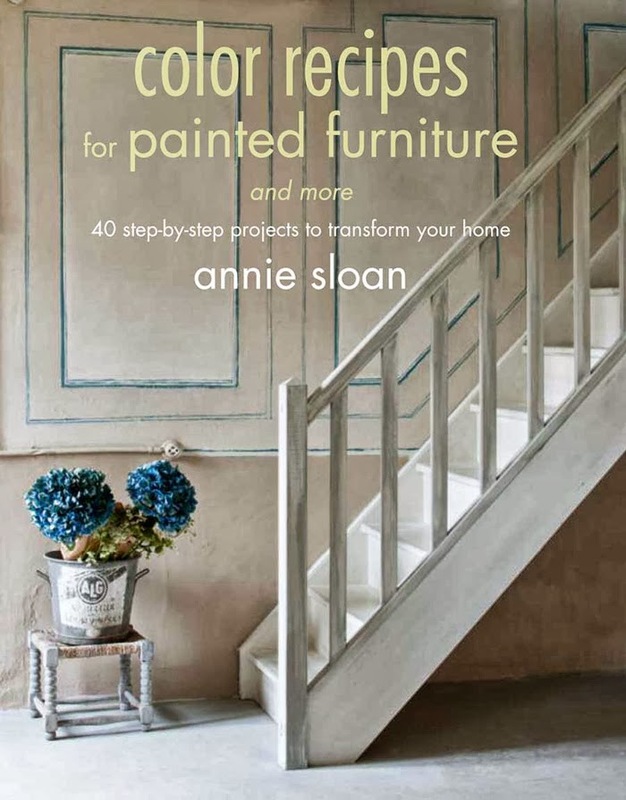 Annie's book, Colour Recipes for Painted Furniture and More was recently reviewed on Poppytalk. You can see a preview about it here and is available here and click here for a list of Canadian stockists for Annie's paints and supplies. You can see Annie Sloan this weekend at the Vancouver Home + Design Show which starts Thursday, October 17th - 20th, 2013 at BC Place, Vancouver, B.C. More info at vancouverhomeanddesignshow.com.